2019 has started and I wish you all a very exciting and successful year. I do hope as well, that our joint business interest will continue to flourish and that we shall get even closer together as real partners in the food production channel worldwide. While writing this message, I am on my way to our office in Hainan, China, where we have invited our Chinese distributors to our annual company seminar. 2018 was a wonderful year for Van Iperen in China with a lot of progress. 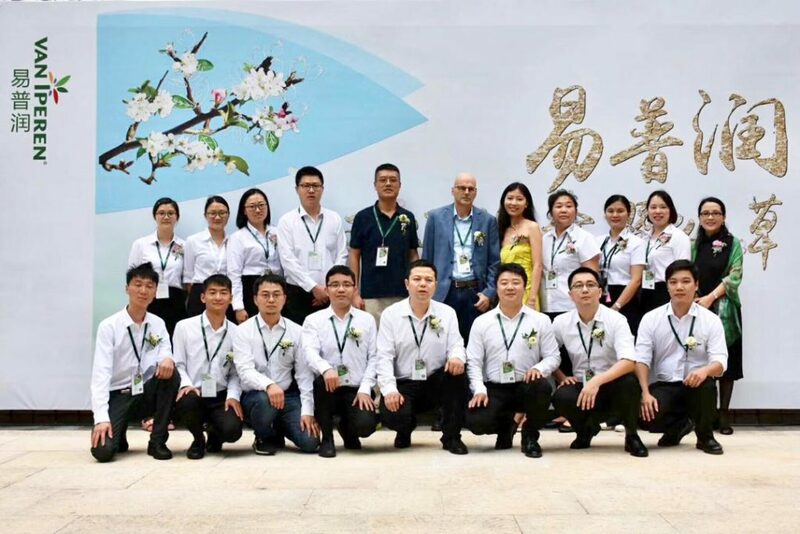 Our staff in China has grown to over 20 employees, located in various provinces to serve our clients. China is a rapidly developing market being very “hungry” for innovations to optimize inputs in crops, for example the increasing usage of fertilizers improving Nutrient Use Efficiency. In that perspective, our IPE®solutions are very welcome and prove to bring real added value for the grower. But we do not only grow in China. The staff in The Netherlands and elsewhere has expanded significantly in 2018, in order to get ready for the future. With our existing and new products we foresee to grow rapidly and continuously. Our innovative High Performing Solutions are gaining momentum. We are grateful to see so many of our customers and their growers to have chosen using new solutions of Van Iperen. Various World forums are in agreement on the necessity to double the food production by 2050 in order to feed the population by then. At the same time, we see a reduction of available land surface for agricultural production and are facing climate changes, causing drought or floods more often. To safeguard the environment (biodiversity, water, soil fertility), food production needs to be more sustainable, forcing us to grow smarter with less input of fertilizers, pesticides, irrigation water etc. New technologies and precision farming can help us. All players in the channel have a role to play. Ours is in the fertilizer supply. We are committed to contribute with more effective nutrition and biostimulant solutions. At van Iperen we call it “2x more with 2x less”.